Uses: General, Weddings Scripture: Matthew 6:9-13 This beautiful anthem, with its stirring melody and gentle accompaniment, brings to life the prayer that Christ taught us to pray. 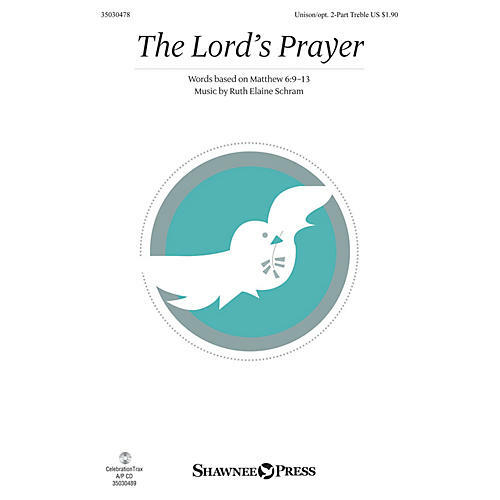 The piece is easily accessible for choirs of all ages and promises to enhance any worship experience where the Lord's Prayer may be shared through song. Available separately: Unison/opt. 2-Part Treble, CelebrationTrax CD. Duration: ca. 3:12 ScorePlay - click to view score with recording.